ELLENTON, Fla., (October 4, 2017) – Feld Entertainment® announced today the 2018 AMSOIL Arenacross schedule, which will consist of 12 rounds in the battle for the coveted Ricky Carmichael Cup. The most intense indoor professional motorcycle racing kicks off Saturday, January 6 in Dayton, Ohio. 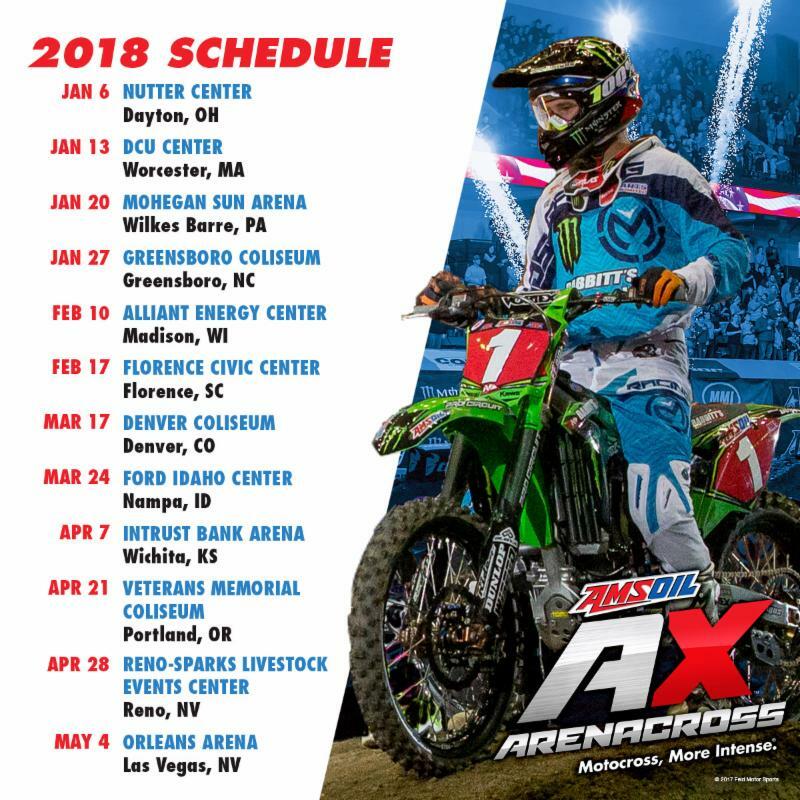 The 2018 AMSOIL Arenacross season features top professional athletes competing on man-made, custom-designed tracks built inside the country’s most well-known arenas. The tour will travel to 11 states in 2018 and kicks off at the Nutter Center in Ohio after a five-year hiatus. The series will make a first-time stop in Florence, S.C. and will return to Las Vegas to crown a champion on May 4. While Saturday is all about the pros, Sunday also features another full day of racing as AMSOIL Arenacross provides the sport’s only developmental platform for amateur racing. 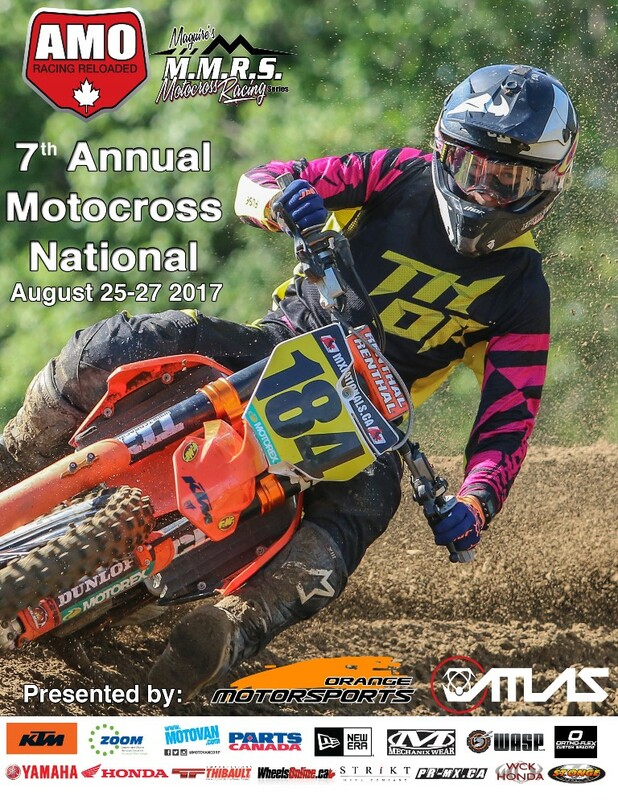 Fans can expect to see hundreds of the fastest amateur athletes testing their skills across 27 classes on the same arena-sized tracks as the professionals.